Google’s internal startup incubator, Area 120, unveiled last year, has to date led to the creation of a number of projects, including a personal stylist app Tailor, a voice messenger Supersonic, and most recently, an app for watching YouTube videos together called Uptime. We’ve now spotted another app in development over there called Appointments, a salon booking tool. 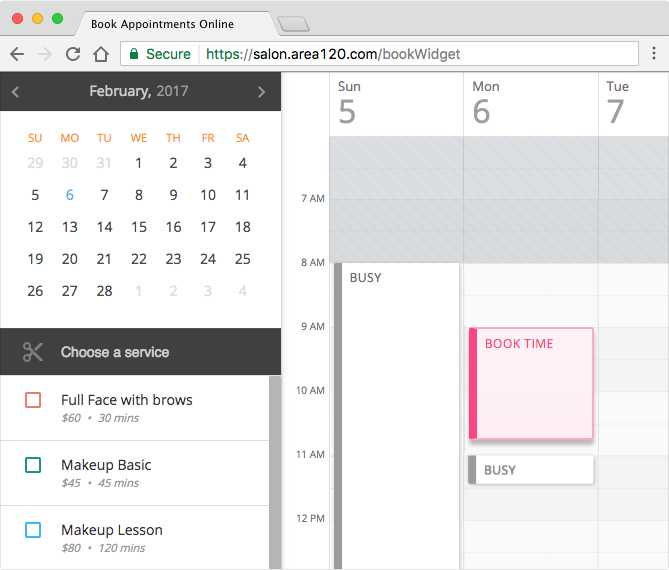 Appointments has not yet been publicly released to the app stores or web, but its project page is currently live at salon.area120.com. 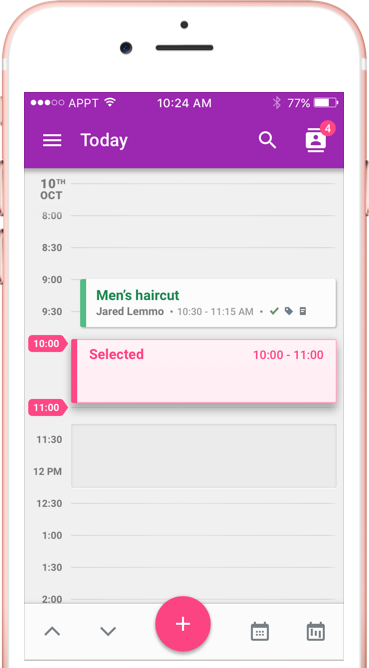 The app appears to be a competitor of sorts to more robust scheduling services like Vagaro, StyleSeat, Square Appointments, Mindbody, and others. However, unlike some of its rivals, the app goes beyond offering just an online booking system, but also includes an integrated website for participating businesses and a tool that turns SMS client texts into booking links. The website and bookings app work online or via mobile devices, the site says, and will display to customers a week’s worth of availability. The business website, meanwhile, can also include other information, like the services offered at that location, directions and a map, photo gallery, price list, and contact information, like the address and phone number, for example. As the project is clearly still in its early stages, there isn’t a lot more information about the technical details, the team behind this project, or its larger plans – if any – to monetize. The app download link, which also doesn’t yet work, does imply that it will be free. Despite the limited information, this project in particular could be interesting for Google, which today works to list businesses on Google Search and Maps. It also today aids businesses with setting up their web presence, from buying their domains to setting up their email, and even creating basic websites and making them work well on mobile devices. However, Google has yet to offer software specifically dedicated to booking appointments online – a space that Microsoft moved into with the launch of its Office 365 service, Bookings, announced last year. If Appointments became successful, it’s reasonable to think that it could become an alternative solution to Microsoft’s, designed to fit in with Google’s own suite of productivity tools. Of course, at this time, it’s too early to say what will become of Appointments in the future. Area 120 projects, by way of background, are meant to encourage entrepreneurial spirit within Google, instead of losing valuable team members to startups. According to prior reports on how the incubator works, teams first submit business proposals to Google, which, if accepted, let them join the program and work on their product for a few months. They may also have the opportunity to pitch Google for additional funding. These teams are based in Google’s San Francisco offices, but don’t have a dedicated press contact for inquires at this time. Attempts to ask Google for more details through main press channels have gone unanswered.